Opening Day was a success! Thank you to all who came out and shopped despite the cold temps. It was great to see everyone. The online market will continue to be open during the outdoor season. Pick up will be at the outdoor market each Saturday. Raised Rite Poultry will continue the 2 for $20 March Madness sale until that size of chickens are sold out. Have a great week and see you Saturday!! 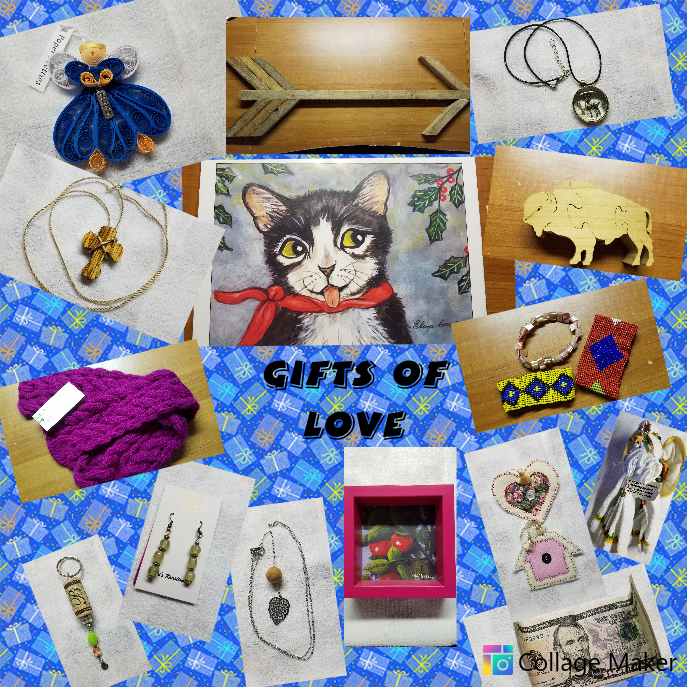 Just a few of the items we have had so generously donated for our “Gifts Of Love” for the Hope Center Mother’s Day Celebration. Winnsboro, TX: Market is Open! The market is open once again this week, so be sure & stock up! Schedule is the same for the next two weeks, but in May we will change it up a bit. Now that Saturday market has started back up, it is more difficult for some of our growers to deliver online orders on Thursday. So, the pickup will be changed to Saturdays during market hours 8 am to Noon. Shopping time will be the same, but extended an extra day. We hope this will give you all opportunity to shop market goods that aren’t online, while still having the luxury of pre-ordering to be sure you get what you need. Again this change doesn’t go into effect UNTIL MAY, so I will see you this Thursday & answer any questions you may have. No need to let the combination get you down! We’ve got all that you need to bring the sunshine back into your soul! And, what better way to spend a gloomy morning, than to make a list of items you need, and then instead of going out into the elements, you can order right from the comfort of wherever you are! And…don’t forget that Easter is this coming weekend!! We can make it easy for all of your food prep needs. Or, still looking for items to put in Easter baskets? Why not make baskets full of local products for our market? We have so much to make up a Foodie Easter Basket! However you want to use our market, we are ready to take the dreariness out of the rainy day! And…Old Soals has now added fresh basil along with their lovely lettuces!! Arugula is on vacation, at the moment, as they wait for the next production of it, but will be back, soon!! And…Kennedy Farms is on a short break while they plant, and plan for the markets they are involved with, in the coming season! They should be back in mid May!! Order now through 5 pm Thursday April 18th for Saturday April 20th Pickup, (or contact me if you want a different day, we do have some flexibility.) Again this week Friday may be best or early Sat Morning. Check out the Farm Tour that Back in Time is offering, as well as their goat and chicken products. Take a look at the rest of the awesome products available and have a great week! We’re getting close to resuming our every week delivery. The spring veggies are emerging and the strawberries are blooming. I hope that we’ll be back on 4/21, but I need to check with our other Growers and make sure that we are ready. I will miss that week off where I’m just lounging around in the hammock with my pina coladas. We will soon have plenty of basil, tomato, pepper and other plants available, probably in a couple of weeks. Bloomy Rind is back with some delicious cheeses. Artisan Wild Onion Links – Wedge Oak Farm has come up with a new, fresh Springtime sausage! Wedge Oak Farm pasture-raised pork, salt, pepper, wild onion, wine and hog casing. We have plenty of mushrooms, granola, honey, and coffee. A reminder that pick up will be under the trees unless there is bad weather. If an item sells out, be sure to write in the Comment section what you would like if more becomes available. You have until Tuesday night to place your order. No recipes this week, you’re on your own! RAF Buying Clubs : Time to Order! It is time to start placing your orders for this week’s Buying Club drop-offs! Thank you and we hope to see you on Wednesday!